Simply push the lever on the back of the figure and Darth Vader will swipe over into his cape and pick up a toothpick for you to use. As you push the button on his back, a small panel on his cape opens up and reveals the next toothpick in line for him to grab. 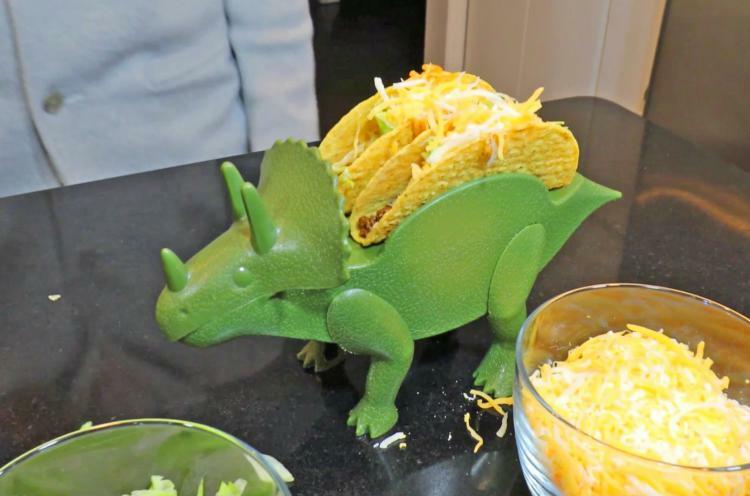 Modeled after a Triceratops dinosaur, this meal-time accessory will turn your next Taco Tuesday Jurassic, devouring tacos with style! Perfect for kids and adults that are looking to add a bit of fun to the dinner table!